William Sewall was born on 17 January 1797 in Hallowell, Maine.2,3 He was the son of General Henry Sewall and Tabitha Sewall.1 William Sewall married Elizabeth Ward Middleton, daughter of Samuel Ward Middleton and Catherine Taliaferro Hooe, on 9 August 1821 in Washington, District of Columbia, the ceremony was conducted by Rev. McCormick, an Episcopal minister, at the Queen's Hotel At the wedding were present Dr. Thomas Sewall's family and the Misses Mary and Emelyn Webster (also relatives). Miss Mary Webster was bridesmaid and Horatio Ward was groomsman.1,2,4 William Sewall died on 7 April 1846 in Cass County, Illinois, at the age of 49.2 William taught school, badly, and owned a large farm in Cass County, Illinois, which he managed very badly and was heavily in debt when he died. Eliza ran it successfully until her death. Another account of his life is rather different, it reads: "On account of his father's prominence and services to the country, his son, father of Mrs. Goodell, obtained a lucrative position in Washington, but on his way thither he was shipwrecked on Long Island sound in extreme cold weather, and, on seeing a woman on board suffering for want of more clothes, took off his coat and gave it to her to save her life. Then, to keep from freezing and the ship was sinking, he had to work the ship pump so long that he froze his hands and was rendered unable to write and fill the office. Then after a long illness he went, at the age of twenty-one, to Virginia, where he taught school, having received a liberal education for boys in those days. It was while thus engaged he met and married his wife in Virginia, which was then a part of Maryland. His wife was a native of Nanjamoy, Maryland, and was the daughter of Samuel and Catharine (Hoe) Middleton. The Middleton's were of English ancestry, and early settlers of America. Both families were prominent in business and social affairs of the State, and many of their relatives were accomplished literary men, while others were distinguished in the law and other professions. Some of the descendants took an active and prominent part in the Confederate army. 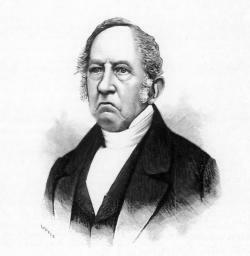 Soon after his marriage, about 1829, Mr. Sewell removed to Illinois, then a new and sparsely settled country. They settled in Jacksonville, where Mr. Sewell taught school and entered 640 acres of land in Cass county. He taught school for about two or three years, when he removed to his farm, where he continued to reside until his death. He was a very devout man and did much good in this new country. He was a active worker in Sunday-school and church matters, acting for years as superintendent of the former as long as he lived, and was instrumental in building the first church in the community, of which he was the first the Elder. He did more to build up both of these institutions in the early day than any other man. Storms and cold weather deterred him from his duty. To make sure of prompt attendance he would take his kindling wood with him, and his wife her broom, and ride three miles to the village church, then used as a schoolhouse; and while he made the fire, she would sweep and clean up the house before the people of the village had started out. Children of William Sewall and Martha Tuckerman ? William Sewall was born on 4 October 1758 in Georgetown, Maine.2 He was the son of William Sewall and Sarah Chisam.1 William Sewall married Lida Beal. [S365] Eben Graves, The descendants of Henry Sewall. Vol. II (Unpublished), p. 319. [S364] Eben Graves, The descendants of Henry Sewall. Vol. II (Unpublished), #209. 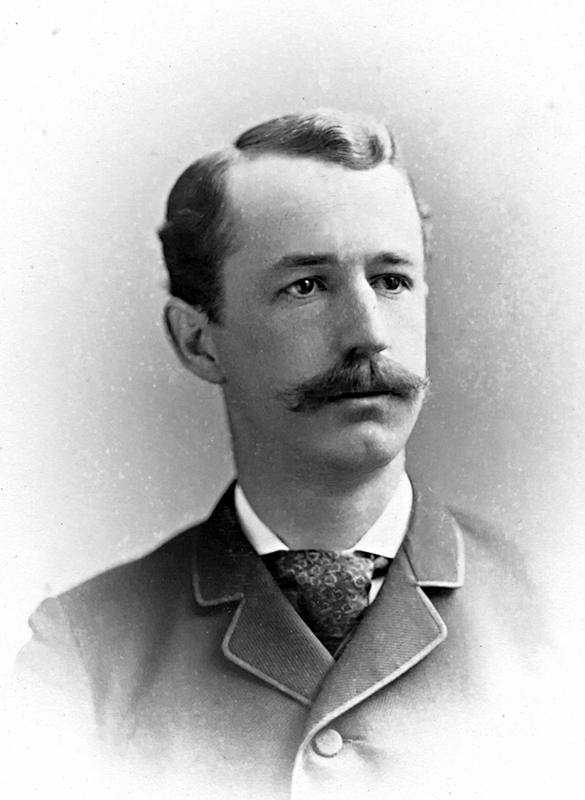 William Sewall was born after 1876. He was the son of Dr. Francis Lewis Sewall and Alice Marshall Finch but died young. Rev. 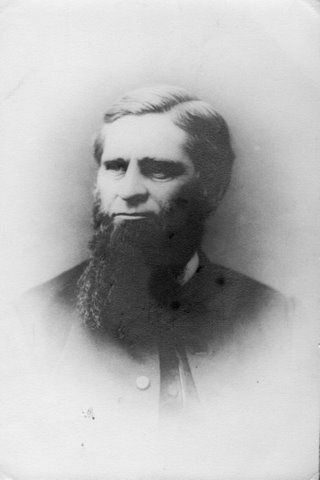 William Sewall was born on 14 December 1827 in Cambridge, Massachusetts.2 He was the son of William Sewall and Sarah Ladd.1 Rev. William Sewall married firstly Caroline Harrod Titcomb, daughter of Silas Titcomb and Hannah Moody Sawyer, on 16 May 1855 in Lewiston, Maine.3 Rev. William Sewall married secondly Mary Butters Folsom on 20 October 1858 in Portland, Maine.3 Rev. William Sewall married thirdly Mary B. Adams on 5 April 1883 in Castine, Maine, the marriage was performed by the Rev. William Forsyth. The groom is described as being of Saxton's River, Vermont.3,4 Rev. William Sewall died on 15 May 1896 at the age of 68. [S364] Eben Graves, The descendants of Henry Sewall. Vol. II (Unpublished), #279. [S205] Newspaper, Bangor Daily Whig & Courier, (Bangor, ME) Saturday, April 07, 1883. [S89] Family Search, New Hampshire Marriages, 1720-1920. [S392] Website findagrave.com (http://www.findagrave.com/) "# 107522874." [S364] Eben Graves, The descendants of Henry Sewall. Vol. II (Unpublished), #406. [S232] Ancestry.com, U.S. National Homes for Disabled Volunteer Soldiers, 1866-1938. [S392] Website findagrave.com (http://www.findagrave.com/) "# 81543576." William Alfred Sewall was born in October 1870 in Iowa.1 He was the son of William Alfred Sewall and Ellen Josephine Finch.2 William Alfred Sewall married Blenda Christina Wedlund, daughter of Holsen Wedlund and Christina Lindblom, circa 1894.1 William Alfred Sewall probably died before before 1909, the year his wife remarried. [S232] Ancestry.com, Indiana, Death Certificates, 1899-2011. William Arden Sewall was born circa 1868 in Oregon Township, California.2 He was the son of Hiram Stoyle Sewall and Eliza A. Moseley.1 William Arden Sewall and Hiram Stoyle Sewall appear on the census of 1880 at Lakeview, Lake, Oregon; listed as traveling.3 He appears on the voters register on 6 September 1906 at Oroville Mont, Butte County, California. William Arthur Sewall was born on 12 March 1885 in Rockport, Massachusetts.1 He was the son of Joseph Henry Sewall and Alice Timney.2 William Arthur Sewall was by the time of his marriage known as William Austin Sewall. He married Florence Isabella Garlick, daughter of William Warwick Garlick and Isabella Stephen, on 15 November 1910 in Rockport, Massachusetts.2 William Arthur Sewall died after 1940. [S231] 1930 US Census, Rockport, Essex, Massachusetts; Roll: 902; Page: 6A; Enumeration District: 240; Image: 652.0; FHL microfilm: 2340637. [S83] NEHGR, Vol. 24 p. 176. [S24] Sarah Elizabeth Titcomb, Early New England People, p. 227. William Bryant Sewall was born on 18 July 1934 in Dallas, Texas.2 He was the son of Edwin Elye Sewall and Helen Maxine Bryant.1 William Bryant Sewall died in 2015 in Texas. [S232] Ancestry.com, Texas Birth Index, 1903-1997. 1934 S.
[S130] Massachusetts Vital Records, Boston deaths. [S231] 1930 US Census, California, Fresno, Township 3 District 8. [S232] Ancestry.com, Indiana, Marriage Index, 1800-1941. [S392] Website findagrave.com (http://www.findagrave.com/) "# 107324975." [S364] Eben Graves, The descendants of Henry Sewall. Vol. II (Unpublished), #507. [S69] Unknown author, The Pickering Genealogy, Vol. 2. p. 405. [S104] Various contributors, Maine Historical and Genealogical Recorder, Vol. VI. p.479. [S392] Website findagrave.com (http://www.findagrave.com/) "# 63063175." [S160] New York Times, 26 April 1930. [S205] Newspaper, The Bath Independent, 1 May 1930.